The New Samsung GALAXY S4 helps bring us closer and captures those fun moments when we are together. The lowest price of Samsung Galaxy S4 i9500 16GB is P3,715.21 at AliExpress, which is 89% less than the cost of Galaxy S4 i9500 16GB at Lazada (P33,708.55). 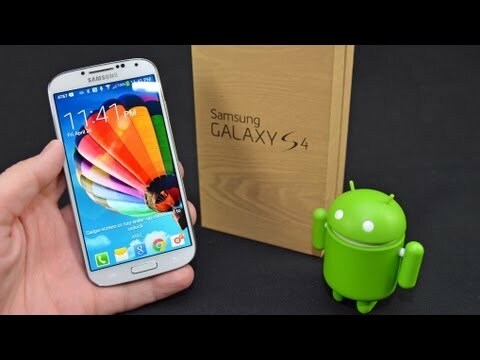 The latest price of Samsung Galaxy S4 i9500 16GB was updated on Apr 16, 2019, 09:49. Considered as Samsung's most popular flagship unit, the Samsung Galaxy S4 redefined the meaning of smartphone. From its design to the many innovative features, this handset is certainly built to impress. Introduced in March 2013, the company has already sold 20 million units worldwide within two months. To date, about 40 million units have been sold. Filipinos have grown used to the tough competition in the smartphone market and have become more discerning with their smartphone choices. Most buyers wait around for the latest mobile device and check if they are worth the investment. With the entry of the Samsung Galaxy S4 in the market, many knew that it was the phone to invest in despite the fact that it is quite pricey. The reason is simple. Buyers know that they are buying a superb device and a keeper for many years. You would not know you are in the presence of greatness when you first look at the Samsung Galaxy S4. It features a polycarbonate chassis and a removable plastic rear cover. Noticeably, thinner and smaller, the device boasts of a 5 inch screen full HD Super AMOLED screen with 1920X1080 pixel display and protected by Corning Gorilla Glass Display, which is still considered to be the best in the industry in terms of power consumption. The latest version also runs on 1.9GHz Qualcomm Processor and powered by Android 4.2.2 which can be upgraded to v4.3. Of course, you can expect the TouchWiz Nature user experience with more features more than ever including Eye tracking, Smart Scroll, Smart Pause, Air View, Air Gestures and Quick Glance. There is also Group Play that allows for ad hoc sharing between other Galaxy phones. All these runs smoothly, thanks to the 2GB RAM and 16GB internal storage which can still be expanded via the micro SD card slot. 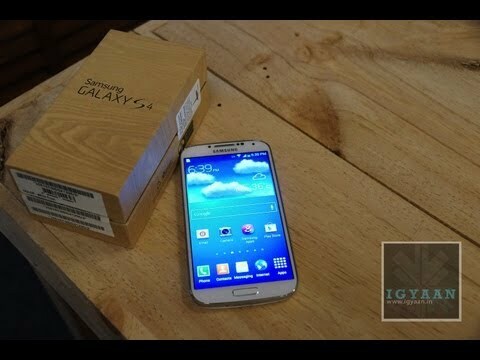 The Samsung Galaxy S4 also comes with a 13MP camera with Auto Focus with Flash and Zero Shutter Lag and a 2 MP front camera capable of full HD recording. Other camera features include Dual Shot, Drama Shot, Sound and Shoot, 360 Photo, Best photo, Animated Photo, Eraser, Beauty Face, Night, Panorama and Sports. The smartphone can also be connected via WiFi, NFC, Bluetooth and IR LED Remote Control. It has a battery capacity of 2,600 mAh, which is an improvement over the older model. Other unique Samsung features include Story Album, Optical Reader, S Translator, Samsung Hub, ChatON, WatchON, S Health, S Travel, Adapt Display, Adapt Sound, Screen Mirroring and Samsung Link. It also comes pre-loaded with a host of Google Mobile Services including Google Search, Gmail, Google Maps, Play Store, You Tube, Google Plus, Google Navigation, Voice Search and Google Downloads. It would definitely be easy to fall in love with the Samsung Galaxy S4. The wide range of innovations is just the tip of the iceberg as no other smartphone can be as fully-equipped as this device is. It is not surprising why the company's slogan for the device is Life Companion as it provides users with everything they need in a smartphone, all accessible with just a glide, tap or swipe. All the features in the world will be useless without a fast processor, which this smartphone has complied with. The additional battery capacity is also much appreciated although users are advised to conserve battery by turning off/closing apps when not in use. There is always the matter of the plastic material which detracts to the overall luxury feel and look of the device. The increase in real estate made it also hard for some users to handle the phone with a single hand. While the many features can be an advantage for some, there are users who find them too complicated. In any case, it all boils down to personal preferences. For a lot of users and critics, the Samsung Galaxy S4 will always be a top smartphone choice. It is undeniable powerful and you cannot ignore the super gorgeous screen display. Price is also not an issue as the device is currently offered between Php23500 to Php28000. This is my second smartphone. ngtataka po ako bkt 1.00 lng ang price nto?its true po b? Gudpm, no signal showing on my phone? any suggestions what wrong wid it?? What is nfc for? Can you please detail its use?